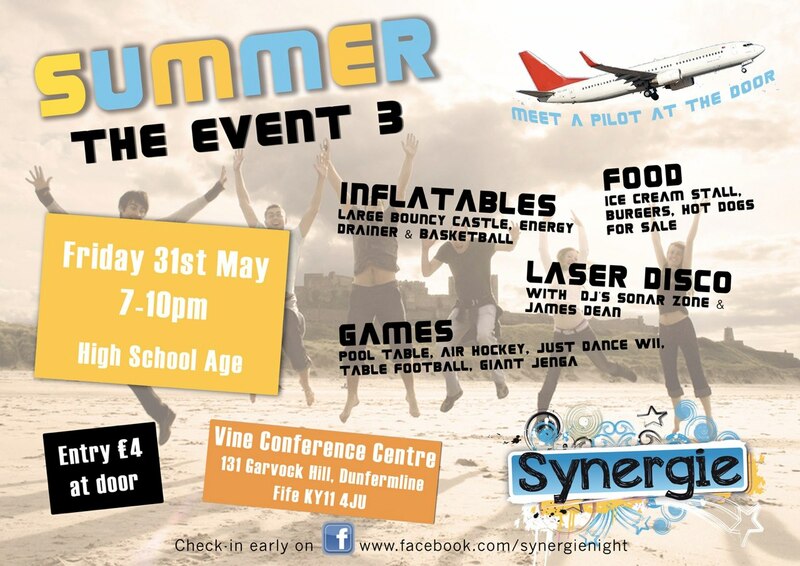 Synergie will be holding a laser disco for teenagers on 31st May in the Vine Conference Centre, with DJs Sonar Zone and James Dean. Other activities on the night include air hockey, Just Dance Wii, giant Jenga, inflatables, energy drainer and lots more. Ice cream, burgers and hot dogs will be on sale for the peckish. Previous events have attracted around 80 young people, and organisers are hoping for an even bigger turn out this time. Following the successful superheroes theme at the last event, the current theme is summer. Organisers Zara and Steven Paton of the Vine Church intend for the event to be “a great night of fun” in a safe, alcohol-free environment. Tickets cost £4 at the door, or book early at www.facebook.com/synergienight.